Attached is about two guys: one is incredibly strong and the other is tiny and bendy. It tells the story of their relationship, their constant competition and the support they need from each other to keep going higher. 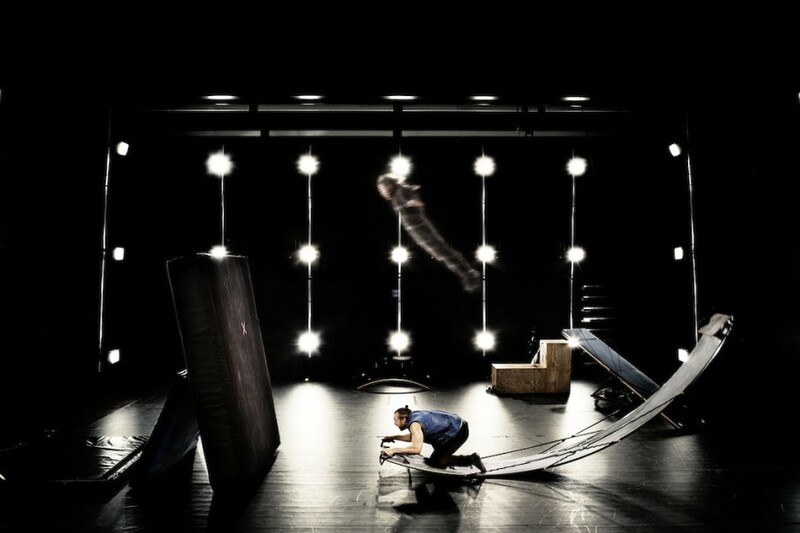 Surrounded by stadium lighting with various contraptions dotting the stage, the performers’ Velcro-suited bodies make contact and are cleaved apart with that recognisable rip, providing an unexpected delight. 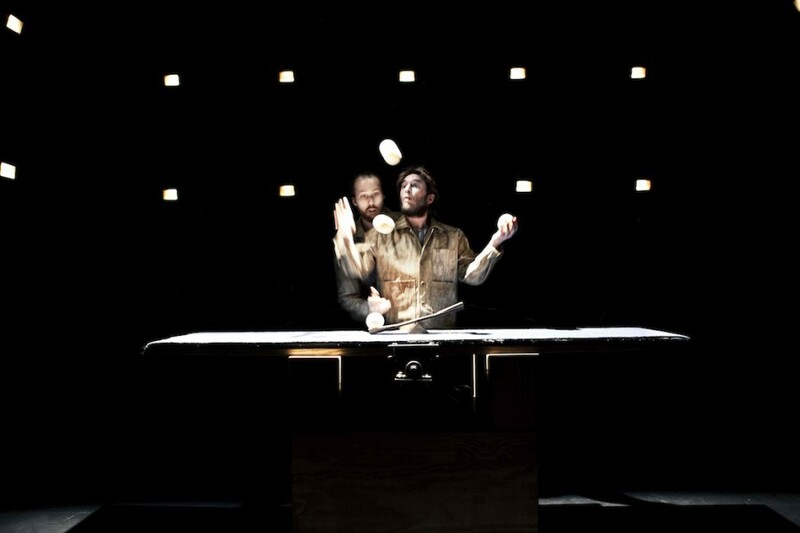 As the performers’ interactions escalate, the idea of attachment is explored in many forms. Ultimately, everything and everyone—including the audience—is attached. 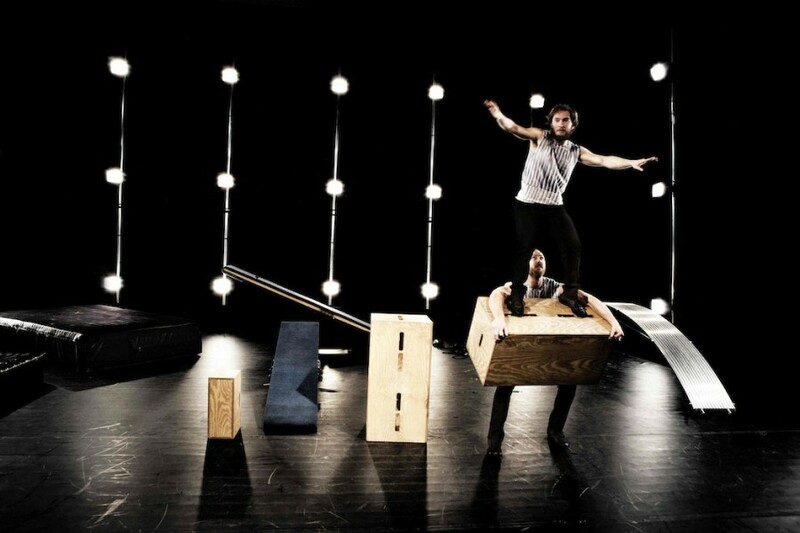 Attached features humour, audience participation and impressive circus skills: acrobatics (including never seen before tricks using a bespoke piece of equipment), teeterboard and object manipulation. The striking lighting design adds even more production value to make an incredible night out. Attached is a 60 min circus show for all age groups over the age of 7, that can also be marketed as an adult show. Please note that Magnus, one of the original cast members, has moved on. Massimiliano Rossetti (Lost In Translation), an Italian artist based in London, has now taken on his role. Updated pictures and trailer will be soon available to support the tour. 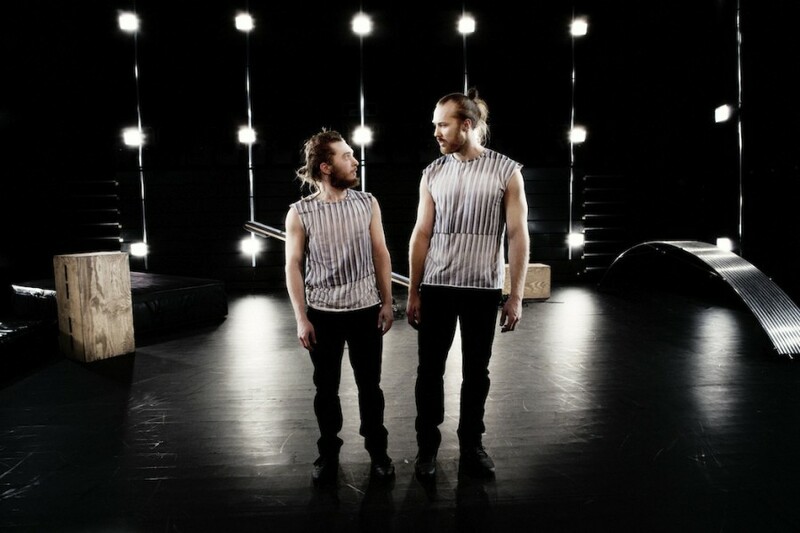 Magmanus Company is a Swedish circus company founded in 2009 by the Franco-Norwegian duo Manu Tiger and Magnus Bjoru. Their first show Magmanus has toured extensively around the world. You may have caught them at Out There festival in Great Yarmouth in 2011. 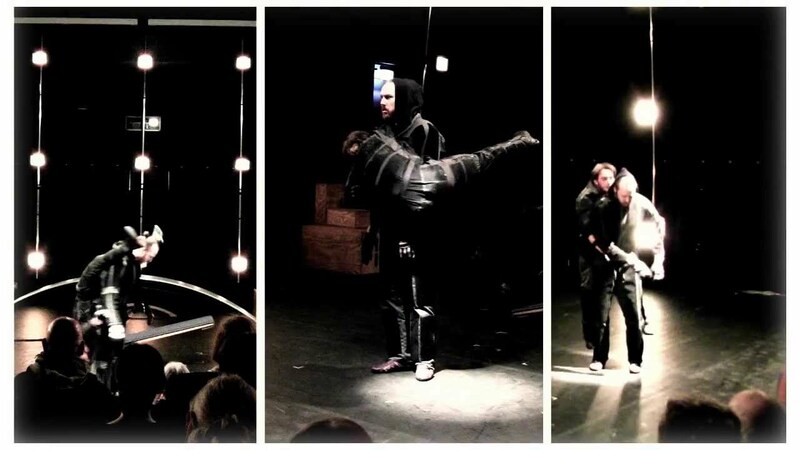 Attached is their second creation which premiered in Stockholm in 2013.